Put simply, The Beauty Book is a directory available to all independent beauty professionals but it has a twist. Unlike normal directories, we aim to provide advice, support and training to make every member’s business a success. We encourage members to work together to broaden the services they can offer ultimately resulting in a larger clientele base, as well as having links to local wholesalers that post offers exclusively for The Beauty Book members. When clients come on to the website they can search by service or postcode and as there is NO BOOKING FEE the clients can contact you directly!!! All clients can leave a review and rating and it is these ratings that not only entice new clients to choose you but that put you higher on the page. We have a section which allows clients to view the offers available to them, so if you have any offers, let us know and we will post them for FREE!!! As a member of The Beauty Book, you will be provided with a username and password which will allow you to manage your account, amend your advertisement at any time, view any offers from local wholesalers, view the training sessions available and so much more!!! We offer support to all our members and our customer service team can help with any questions you may have. We are more than happy to speak or meet with you to discuss your business and help it reach the next level. At the Beauty Book Directory we offer pay monthly memberships but should you wish to pay upfront The Beauty Book membership is available now at discounted prices for 6, 12 and 24 month periods. Why should I pay for advertising on this website? Clients can find you quickly and are able to contact you straight away. Clients can also read your reviews and see your rating to give your business the edge. Your advertisement can include not only pictures but videos of what you do as well as the products you use or just a preview of your salon. By networking with other members who provide different services you can expand your business and clientele base to offer tailored packages to your clients such as weddings and pamper parties. Within the beauty industry, word of mouth is priceless and without a doubt it is the most effective means of promotion. By networking with members who provide other services you have the potential to reach a wider audience as well as not turning down clients who need the range of services in one place or at the same time. Advertising on a specialist and unique directory gives any potential client confidence within you and the services that you provide. We are professionals in market research, advertisement and marketing so we do the hard work for you. At The Beauty Book we will keep you up to date with current trends, training, events and offers all aimed to make your business a success. We are also here should you need any advice or support whether starting your business or expanding it. Wholesalers from all over the UK provide us with offers on products which are exclusive to The Beauty Book Members only. Think how much you could save on the products that you use on a day to day basis. At The Beauty Book we encourage progression through training courses allowing you to adapt to the market trends, expand your services and run a successful business. Whether you are a mobile professional or an independent business, knowledge of the products you use and services you offer is a must have . Within this industry, the products and services made available to professionals are constantly adapted to keep up with the markets needs and trends and this means as a business you need to adapt with it. 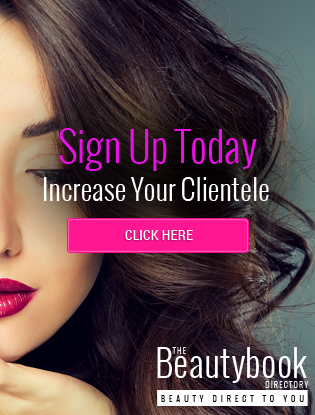 At The Beauty Book we update you on services and products that can be used to increase your database allowing you to offer what your clients want. We also offer one on one training on how to gain more sales, promote and market new and existing services and on how to expand your business.